ZigBee is a low power, wireless mesh network standard, largely used in the areas of home automation, medical data collection and industrial control. 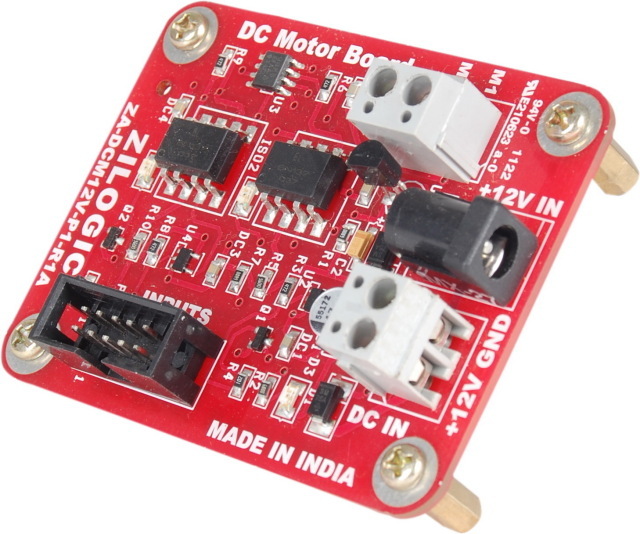 The ZigBee Board connects Zilogic�s development kits with a UART-I�C header. 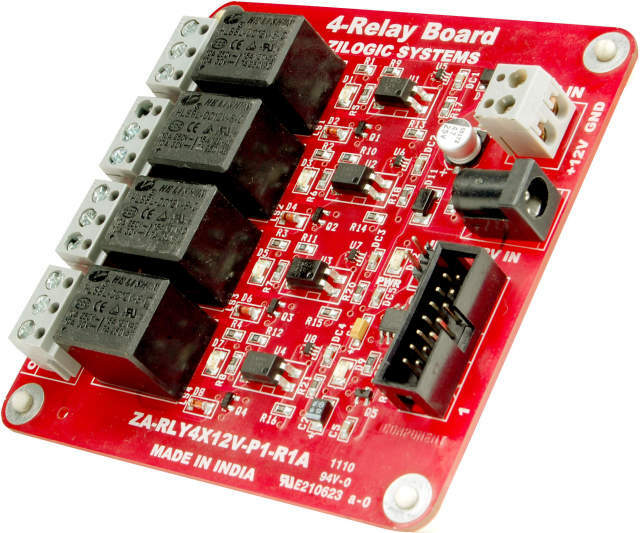 In addition, the ZigBee Board can also be used with other deveolpment kits that have an RS-232 UART interface, using the ZKit RS232 transceiver and a null modem cable. ZigBee is a low power, wireless mesh network standard, largely used in the areas of home automation, medical data collection and industrial control. 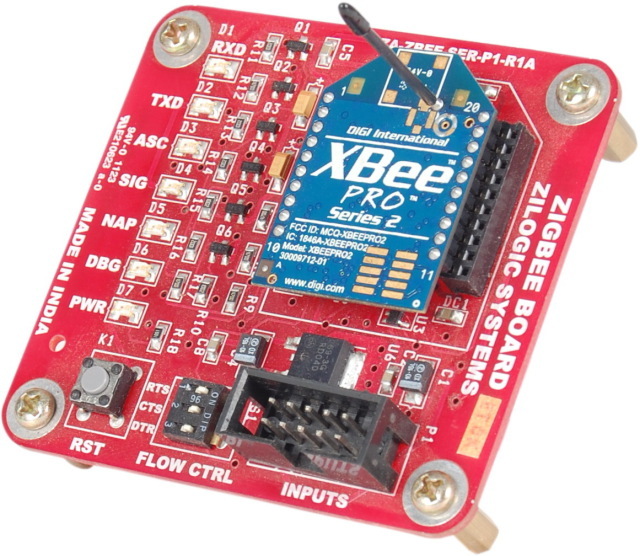 The ZigBee Board connects Zilogic�s development kits with a UART-I�C header. 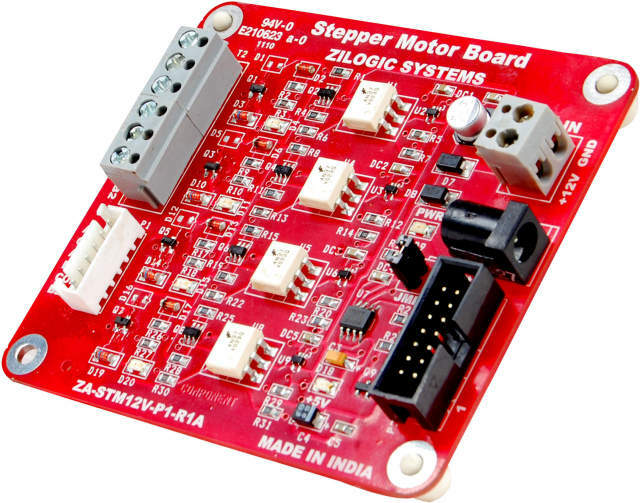 In addition, the ZigBee Board can also be used with other deveolpment kits that have an RS-232 UART interface, using the ZKit RS232 transceiver and a null modem cable. 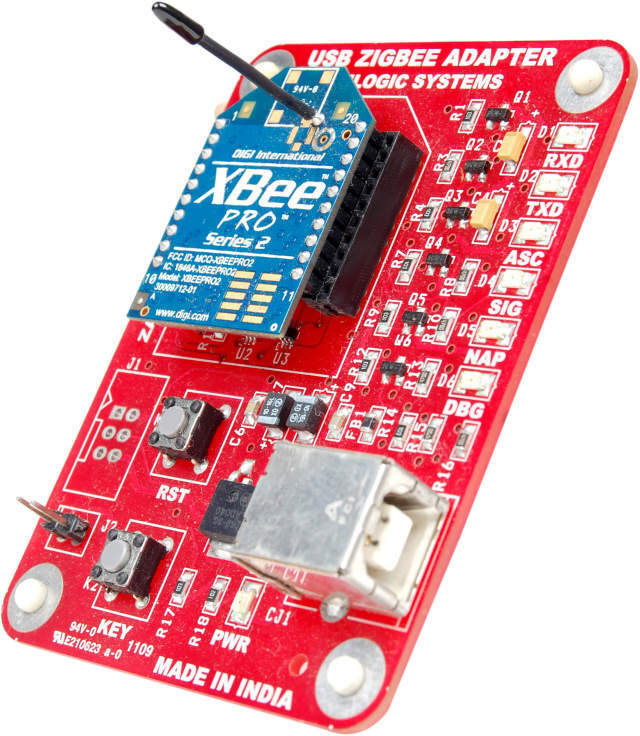 At the core of the ZigBee Board is the XBee module from Digi, which implements the ZigBee stack. The program running on the development kit can interact with the ZigBee stack, by sending commands through the UART interface.